Every year on the 5th October since 1994, the world has united to honour its educators. Named World Teacher Day, it involves over 100 countries and according to those responsible for its founding, UNESCO (United Nations Educational, Scientific and Cultural Organisation), it is not only to show support and gratitude to the teachers of today but also to those of the future – who now may well be the ones showing the gratitude and support. 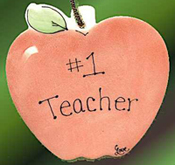 As a result of the increasing amount of publicity it is receiving from organisations such as the Educational Institute (the international confederation of teachers’ unions) and Teacher-appreciation.info, the only way to describe the growth of World Teacher Day’s popularity is by the snow-ball effect. Stunts to demonstrate teacher appreciation are more dramatic, exciting and dynamic every year – at the moment a giant card thanking teachers is being composed across the United States; it will later tour principle cities, prompting students nationwide to support and show gratitude to their teacher. Each World Teacher Day takes on a theme. In the year 2000, participants were encouraged to think about how their teachers ‘expand horizons’ – from inspirational speeches to particularly special guidance, all those behind World Teacher Day promoted this aspect to teaching with passion and eventual success: this year is World Teacher Day’s 13th official celebration. Being an international celebration, UNESCO and all other promoters of World Teacher Day encourage us to think not only of our own teachers but of those abroad who perhaps face different challenges to the teachers of home. In 2003, World Teacher Day’s theme was ‘Opening Doors to a Better World’ – a challenge difficult to overcome with such limited resources as those available to the educators in the third world. The day not only inspired thousands of teachers worldwide to think of new ways to enrich their students’ lives, it also motivated students into thinking about how enrich their own learning and make the most of their teachers – showing appreciation for their good qualities and benefiting from their teaching by working hard. World Teacher Day is most definitely an all-involving event, with all required for participation being motivation and good-will. We encourage all our visitors to make Teacher-appreciation.info their inspirational starting step for celebrating World Teacher Day 2007.